Being new to grounded theory the onus to understand the methodology and the various versions can be daunting. Learning and understanding the differences between grounded theories methodologies can be as much a learning of one’s own research philosophy and this philosophy is often the deciding factor in methodology selection. Learning the different methodologies is a difficult journey as terminology often sounds similar to the novice researcher, but only by exploring the differences can the researcher rationalize their own choice. This paper offers the new researcher a view into the confusing world of grounded theory, where common terms are used but the secret lies in understanding the philosophy of the researcher and the topic of discovery. Glaser was correct, the answer is in the data, but you need to understand the philosophy of the method and if it matches your philosophy of research. “measuring in real organizational terms means first of all getting out, into real organizations. Questionnaires often won’t do. Nor will laboratory simulations… The qualitative research designs, on the other hand, permit the researcher to get close to the data, to know well all the individuals involved and observe and record what they do and say” (Mintzberg, 1979, p. 586). As grounded theory became more popular for researchers, the substantial divide between the creators of the methodology was apparent. The two original authors reached a diacritical juncture on the aims, principles, and procedures associated with the implementation of the method. Two paths emerged, and these are marked by Strauss and Corbin’s 1990 publication, Basics of Qualitative Research: Grounded Theory Procedures and Techniques, to which Glaser responded harshly with accusations of distortion of the central objectives of parsimony and theoretical emergence (Glaser, 1992). Glaser’s views were supported by other grounded theory researchers who agreed that the late Strauss’ 1990 publication was an erosion of the original 1967 methodology (Stern, 1994). During the years since the opening of the debate on grounded theory, a number of researchers have firmly supported the classic grounded theory methodology CGT (Bowen 2005; Clark & Lang 2002; Davis 1996; Efinger, Maldonado & McArdie 2004; Holton 2007; Schreiber 2001). Various scholars have put forward a range of strategies and guidelines for the coding process (Charmaz 2006; Goulding 2005; Partington 2002; Patton 2002; Strauss & Corbin 1990, 1998). The process and methods for coding have created the highest level of debate for users of grounded theory. Some researchers have combined quantitative and qualitative forms of data collection when using grounded theory. And while nothing prohibits such combination, the purpose needs to be clear, otherwise a muddling of the methodology will occur (Baker, West & Stern 1992; Wells, 1995). While the coding process is an important part of grounded theory, over-rigid structures can create blocks that limit the researcher’s ability to complete the analysis (Glaser, 1978; Katz, 1983). These changes in coding go much deeper than just a coding process, they are a departure from the core elements of CGT and this paper looks at how these differences impact the researcher. Fernandez (2012) identified four different grounded theory models: CGT (Glaser 1978), the Strauss and Corbin (1990) qualitative data analysis (QDA) sometimes referred to as the Straussian grounded theory, the constructivist grounded theory (Charmaz, 2000), and the feminist grounded theory (Wuest, 1995). While less known variants of grounded theory exist, these are considered the main grounded theory methodologies widely used in academic research. Gynnild (2011) is critical of a number of how to grounded theory books for committing theory slurring making “non-systematic switching between references to Strauss/Corbin, Glaser and Charmaz…a rather diffuse method of skip and dip when collecting data” (Gynnild, 2011, p. 64). This has increased the confusion for the novice user of grounded theory. Tolhurst (2012), in reviewing the grounded theory methods, “skips and dips” to develop a view without explaining the actual differences between methods. His final analysis did not add clarity, but furthered the confusion by referring to the method as tortuous with no alternative methodology. Egan (2002) also “skips and dips” between CGT and Straussian theory, scarcely making reference to the difference, leading the reader to believe they follow a similar path of data analysis. Martin (2011) noted that numerous published works presented as grounded theory have been guilty of method mixing or method slurring. Stern and Porr (2011), in defence of critics of their book Essentials of Accessible Grounded Theory 2011, argued that, unlike others, any modification they put forward never departed from the core elements found in the traditional Glaser and Strauss (1967) grounded theory. They stated that they had adhered to the “four fundamental principles (Discovery never verification, explanation never description, emergence never forcing and the matrix operation)” (Stern & Porr, 2011:88). Simmons (2011) believes that greater distinction needs to be made between CGT and constructivist grounded theory, and that while Stern and Porr (2011) may have adhered to some of the basics of grounded theory, they failed to effectively draw the differences between the methodologies. In 2004, Glaser put forward a number of concerns about some of the re-modelling that had taken place with what is termed qualitative data analysis (QDA). Glaser asserted that the mixing of QDA and grounded theory methodologies had the effect of downgrading and eroding the goal of conceptual theory (Glaser, 2004, 2009b, 2012b). Conceptualization blocking by applying QDA constraints continues to be the most common complaint of grounded theory researchers (Glaser, 2011). Glaser (2009b) explains in detail how QDA and multiple versions of grounded theory have jargonized elements of CGT to achieve authenticity. A strong advocate of CGT, Simmons (2010, 2011) is critical of any mixing of grounded theory methodologies. An alternative is to remain true to the original work of 1967, with Glaser’s subsequent work (1978, 1992, 1998a, 1998b, 2001, 2004, 2007, 2009a, 2009b, 2011, 2012a). A more effective process is to view the different types of grounded theory methods and to select the one that best fits the researcher (Fendt & Sachs 2008). It is important to understand the impact of different research methodologies and how the researcher views the world. Howell (2013) recognizes the importance of the combined philosophy of the researcher and the methodology and highlights this in the following statement: “When we undertake a research project we approach the world with pre-conceptions about the relationship between mind and external reality; such will affect the methodological approach, research programme and methods of data collection” (p. 4). The following explores four of the most cited forms of grounded theory, how their views differ on the application of grounded theory, and, ultimately, a rationale for the selection of CGT. To aid the novice research this paper reviews the four main categories of grounded theory and uses the scholarly works of experienced researchers to position the differences. Feminist grounded theory was developed initially for nurses in recognition of the andocentric bias and to ensure that women’s voices were heard in the research community (Wuest 1995). Wuest overlays feminist theory onto the CGT, the Straussian, and the constructivist grounded theory, advocating that “[g]rounded theory is consistent with the postmodern feminist epistemology in the recognition of multiple explanations of reality” (Wuest, 1995, p. 127). No preference is stated towards the Straussian, CGT, or constructivist grounded theory methodologies. Wuest selects methodological elements from all three grounded theories to put forward the importance of merging with feminist theory. Wuest states that “[f]eminism is not a research method; it is a perspective that can be applied to a traditional disciplinary method” (1995, p. 129). The feminist grounded theory has been widely accepted as a method of research ideally suited to the nursing profession, and grounded theory is enriched by taking a feminist perspective when the research is based on women (Plummer & Young, 2010). (1) Fit – does the theory fit the substantive area in which it will be used? (2) Understandability – will non-professionals concerned with the substantive area understand the theory? (3) Generalizability – does the theory apply to a wide range of situations in the substantive area? “In substantive coding, the researcher works with the data directly, fracturing and analyzing it, initially through open coding for the emergence of a core category and related concepts and then subsequently through theoretical sampling and selective coding of data to theoretically saturate the core and related concepts” (p. 265). The constant comparative process involves three types of comparisons: (1) incident to incident for the emergence of concepts, (2) concepts to more incidents for further theoretical elaboration, saturation, and densification of concepts, and (3) concepts to concepts for their emergent theoretical integration and through theoretical coding (Glaser & Strauss, 1967; Holton, 2007). “All is data” is a well-known Glaser dictum. It means that all research is considered data, unlike QDA which has a specific descriptive structure. The grounded theory researcher needs to compare the data on as many dimensions as possible. Grounded theory researchers take into account all data, including newspaper articles, questionnaire results, social, structural and interactional observations, interviews, casual comments, global and cultural statements, historical documents, whatever is available that allows the researcher to explore all aspects of the theory. Grounded theory produces abstractions not descriptions (Glaser, 2007). The memoing process helps the researcher determine which of the theoretical codes provides the best relational model to integrate substantive codes to theoretical codes (Hernandez, 2009). Theoretical memos capture the “meaning and ideas for one’s growing theory at the moment they occur” (Glaser, 1998a, p. 178). Glaser does not support having different types of notes, as put forward by Strauss and Corbin (1990); in his view this limits the development of the theory. The use of field notes and coding freedom are key elements of CGT. Field notes allow the researcher to “stay focused on what is really happening and facilitates coding on a higher conceptual level without the distraction of endless descriptive and superfluous detail” (Glaser, 2011, p. 55). The constant comparison allows the core category to emerge and, unlike the Straussian and constructivist grounded theory, the CGT view is that this core then becomes a focus for the literature review and further selective data collection (Glaser, 2011). For CGT, field notes “form the basis for the construction of memos, memos play a key role in the development of the theory” (Montgomery & Bailey, 2007, p.76). Using CGT, there is no one set format in the design of field notes and they may change in format as the research develops (Glaser, 2011). Theoretical coding occurs as the final stage “to conceptualize how the substantive codes may relate to each other as hypotheses to be integrated into the theory” (Holton, 2007, p. 255). For many researchers, the challenge in grounded theory is the ability to get conceptual, being close to the data can cause blurring and difficulty in seeing the theoretical patterns (Scott, 2009). “Theoretical codes conceptualize how the substantive codes may relate to each other as hypotheses to be integrated into the theory” (Glaser, 1978, p. 164). Substantive codes break down (fracture the data) while theoretical codes “weave the fractured story back together again [into] an organized whole theory” (Glaser, 1978, p. 165). Theoretical codes are either implicit or explicit but, whether implicit or explicit, their purpose is to integrate the substantive theory (Glaser, 2005). Theoretical saturation is achieved by the constant comparison of incidents in the data to elicit the properties and dimensions of each category or code. Riley (1996) stated that most studies achieve saturation with between eight and 24 interviews, depending on the topic focus. While it is dangerous to provide specific numbers in the development of a saturation point, it is a guideline in a methodology that has often developed over-rigid rules for judging the credibility of grounded theory products (Skodol-Wilson & Ambler-Hutchinson, 1996). In evaluating the credibility of the theoretical sampling, it is important that the researcher understands that there is no definitive checklist for ensuring credibility and that theoretical sampling will be different for every theory (Breckenridge & Jones, 2009). A difference between Straussian theory and CGT is in the use of literature. CGT believes “More focused reading only occurs when emergent theory is sufficiently developed to allow the literature to be used as additional data” (Heath & Cowley, 2004, p. 143). Heath (2006) found delaying the literature was effective in allowing her to use past literature to challenge as well as support her emergent theory. Christiansen (2011) put forward that if the researcher cannot accept the delaying of the literature review process during the research, they should choose another research method. To be true to theory development and effective use of literature it should not occur at the beginning of the study, for those who advocate a pre-study literature review they should understand it will damage the research by creating early closure to the direction, by misleading the direction to follow, and it may in itself be an inappropriate selection of literature (Hickey, 1997). The literature review process is one of the starkest differences of CGT when compared to the Straussian and constructivist grounded theories. Following the CGT methodology allows the researcher to use existing theory to “challenge emergent theory and locate the emergent theory within the current body of knowledge” (Heath, 2006, p.527). A common problem during the write-up stage is to write description vs. abstract, which is often a result of data overload (Glaser, 2012a). Glaser (2012a) suggests that memo sorting is a key part of the writing process and that a memo can range from a trigger word to several pages. The final hurdle for many grounded theory researchers is that they must have the ability to be aware of their own personal bias throughout the research process through reflexivity. Deady (2011) points out that part of the richness of the experienced researcher is the knowledge gained in the field of expertise. CGT researchers need to ask themselves the questions: “What perspective do I represent?” and “How may this perspective influence my reading? And how should I factor it out?” (Deady, 2011, p.51). Ehigie and Ehigie (2005) state that the interviewer must be knowledgeable about the topic and be able to relate to the participants in terms of language – using vocabulary normally used within the sector being studied. The interviewer must also know when it is necessary to probe deeper, get the interviewee to elaborate, or broaden the topic of discussion. Having knowledge in a topic does not mean having preconceived ideas. To do research in nursing it helps to understand the issues related to nursing, just as in business it helps to have a business background when dealing with business research. Glaser (2011) never questioned the ability of the researcher to have knowledge, but rather to stay open and ensure the inductive process is allowed to work effectively. Neither Glaser nor Strauss ever made “a claim of pure objectivity; it is merely a statement regarding maximizing objectivity to the extent possible. This is what classical grounded theory was designed to accomplish” (Simmons, 2011, p. 75). The CGT as put forward by Glaser (1978, 2002, 2007, 2011) stays true to the original concepts put forward by Glaser and Strauss (1967) and all other methods have serious flaws that distract from the goals of grounded theory. Deady (2011) selected CGT for its combination of rigour and flexibility in how it incorporated the literature review into the data analysis and, unlike other grounded theory models, allowed the researcher freedom to develop their own memoing process. Many supporters of CGT see the methodology as offering the greatest amount of freedom in the development of substantive theory (Deady, 2011; Loy, 2011; Simmons, 2011). When looking at the future of grounded theory, Glaser sees expansion of theory bits or parts of what makes up a substantive theory that will be used to describe a situation or to tell part of a story, i.e. the group is superdiversifying, or cultivating each bit giving a meaning to actions or stories. The researcher will need to continue to point out that theory bits are only part of the substantive theory and that part of good grounded theory is that the theory bits are the beginning of more research (Glaser, 1999). Glaser also points out that CGT is only part of the research tools available; it is not intended to replace other forms of research but adds a valuable complement to the research community. 1. Data collection and analysis are interrelated processes. 2. Concepts are the basic units of analysis. 3. Categories must be developed and related. 4. Sampling in grounded theory proceeds on theoretical grounds. 5. Analysis makes use of constant comparisons. 6. Patterns and variations must be accounted for. 7. Process must be built into theory. 8. Writing theoretical memos is an integral part of doing grounded theory. 9. Hypotheses about relationships among categories are developed and verified as much as possible during the research process. 10. A grounded theorist need not work alone. 11. Broader structural conditions must be brought into the analysis, however microscopic in focus is the research (pp. 419–422). These procedures allow the researcher to understand more clearly the differences between Straussian and CGT beyond just the coding methods. At the highest level they would appear very similar; however, taking a more detailed review of each heading, the major differences are in points four, nine and 11. CGT would argue point 4, Sampling in grounded theory proceeds on theoretical grounds, creates a preconceived bias. While both support sampling based on theoretical grounds, Corbin and Strauss (1990) support the concept that the researcher brings the idea of the phenomenon to be studied; alternatively the CGT would insist that it should come from the data and not be initiated by the researcher. Goulding (1999) identifies the need for flexibility in some aspects of grounded theory. No researcher starts with a totally blank sheet. In fact, the body of knowledge is key to the development of new theories. The art lies in finding a balance between all aspects of data collection that allow the researcher to develop their themes without prejudice or preconceptions. Glaser (2011) argues that the obsession with this point of preconceptions is a misunderstanding of the importance of the inductive process. CGT supports the use of both literature and what can be brought by other theories, but not until the data has had the opportunity to direct the researcher (Glaser, 2011). Point nine sees a substantive separation between Straussian theory and CGT, where the process for verification takes a very different path for the two methods. The Straussian approach is more structured, leading to a much more rigid coding structure for analysis. It also has its emphasis on deduction, verification and validation. What at first glance may appear more structured and therefore easier, on investigation the method put forward is actually more complex, with the use of tools, paradigms, and matrices beyond the constant comparative method offered within CGT. Glaser (1992) put forward that the Straussian approach is not a modification to grounded theory, but a whole new approach and should not be confused with grounded theory. Rennie (1998) sees Straussian grounded theory as introducing hypothetico-deductivism to grounded theory based on instrumentalism, whereas CGT insists on an inductive approach and that the method should only lead to theory and not to verification. Lastly, for point 11, broader structural conditions must be brought into the analysis, however microscopic in focus is the research, again we see a much more step by step structured process, where CGT would argue that the broader conditions would be reflected in the data (Strauss & Corbin, 1998; Glaser, 2001). In their methodology, Strauss and Corbin argue that their coding methods provide an aid to the researcher, moving the research from too much focus on induction and towards a more balanced method that encompasses induction, deduction, and verification. While both CGT and Straussian grounded theory use a comparative method in the use of literature as data, the Straussian approach uses the literature in the early stages of research to develop theoretical sensitivity and the generation of hypotheses (Heath and Cowley, 2004). Heath and Cowley also highlight that while a shared ontology exists between CGT and Straussian theory, “there may be slight epistemological differences” (p. 142). These differences are often misunderstood by the novice researcher as both state they strive for similar results, but the coding process which is often cited as the primary difference has at its root a different philosophical use of induction, deduction, and verification (Heath & Cowley, 2004). Glaser (1978) uses the term substantive (open) coding as a way to develop a set of categories and their properties that are “relevant for integrating into a theory” (Glaser, 1978, p. 56). For Glaser (2011), the process is an inductive process and the emergence comes directly from the data. Strauss and Corbin (1990) also use the term “open coding” but the emphasis of conceptualizing and categorizing the data may be predetermined and while partially from the data it can equally come from the researcher. Axial coding is unique to Strauss and Corbin as an addition to the CGT and is defined as “a set of procedures whereby data are put back together in new ways after open coding, by making connections between categories. This is done by using a coding paradigm involving conditions, context, action/interactional strategies and consequences” (Strauss & Corbin, 1990, p. 96). Kendall (1999) cites the difference in the concept of open coding and the inclusion of axial coding as a key differentiation between CGT and Straussian grounded theory. In conclusion of her analysis, Kendall (1999) agrees with Glaser (1992) that the use of paradigm and axial coding is inconsistent to the purpose of grounded theory to generate a substantive theory and that the Straussian method allows an escape for those struggling with the conceptual difficulties of CGT. Neill (2006) put forward an argument that reflexivity/reflection are an important part of the data analysis as long as it does not become a distraction from the data. Reflection can be an important part of the comparative process. Glaser (2001) was wary of too much dependence on reflexivity and warned researchers to be careful that they don’t lose focus. The use of reflexivity and relationality is credited to Strauss and Corbin (1998) and is not seen as part of CGT. Hall and Callery (2001) argued that the inclusion of reflexivity and relationality is an important part of the validation and rigor of Straussian grounded theory, but that it has been misused by the constructivist approach. Constructionism has its beginning in sociology – how observations form an accurate reflection of the world – and has recently had a profound impact on researchers who select grounded theory as their methodology of choice (Andrews, 2012). Andrews (2012) is critical of Charmaz (2000, 2006) who has led the debate on the use of constructionism, stating that she’s used the terms “constructionism” and “social constructionism” interchangeably without adequately explaining the differences – that one has an individual focus and the other a social focus on the world. At the root of the constructivist theory is the belief that concepts are constructed, not discovered as put forward by Glaser (2002). For the constructivist, you begin with specific questions on a particular substantive area; in contrast, the CGT starts with a desire to know more about a substantive area but has no preconceived questions prior to the study (Hernandez & Andrews, 2012). Similar to the Straussian grounded theory, constructivist grounded theory begins with a review of the literature to determine what has been done before in the area of interest. This difference in the timing and approach to literature is a key difference found in both the constructivist and Straussian approaches (Hernandez & Andrews, 2012). Glaser (1978, 2011) points out that CGT allows the data to be developed without preconceived ideas and will integrate previous work during the comparative analysis. Andrews (2012) puts forward that the main argument against constructionism is in the perceived conceptualization of realism and relativism and that the argument has an “epistemological not an ontological perspective” (Andrews, 2012, p. 44). CGT is less focused on language as a method of interpretation but can coexist with a constructivist view that supports both objective and subjective reality. The CGT is not compatible to relativism (Andrews, 2012; Glaser, 2011). This has been a core of the debate between Charmaz and Glaser (Charmaz, 2000; Glaser, 2002, 2012b). The argument that constructivist grounded theory compensates for the single minded view is unjustified to CGT advocates who highlight that CGT focuses on a single concern of study (i.e. culture). They argue that the value of grounded theory is not on producing and verifying facts, but is in generating concepts that will have different meanings to different people, and that the final theory is open to modification and new data (Breckenridge & Jones, 2012). Bryant (2003), a supporter of and co-author with Charmaz (Bryant & Charmaz 2007), sees constructivism methodology as seeking to deal with the conflict of potential bias of the researcher and not a direct attack on the philosophy of grounded theory. Constructivist theory sees Glaser as an objectivist and CGT (including Straussian) as a “post-positivist ontology of critical realism” (Hallberg, 2006, p. 146). Hallberg (2006) saw the constructivist development of grounded theory as more of the evolutionary development of grounded theory, from CGT in the 1960s, to Straussian in the 1990s, to the constructivist model in the 2000s, an approach between positivism and postmodernism. Howell 2013 points out that for the constructivists “Knowledge, truth, reality and theory are considered contingent and based on human perception and experience” (p. 16). Each methodology comes with a philosophy which impacts the mindset and all aspects of how a methodology is used down to the method of coding (Howell, 2013). The coding process for constructivist grounded theory uses three types of coding: open, focused, and theoretical. This is compared to CGT where two levels of coding exist, substantive and theoretical, and Straussian with its axial and selective coding. While the terminology may be similar, the definitions of what is termed “theoretical” coding is very different. For the constructivist approach, theoretical coding is the merging of concepts into groups. This happens throughout the process, whereas for the CGT the theoretical coding is part of the selective process used to integrate the grounded theory (Hernandez & Andrews, 2012). Bringer, Johnston and Brackenridge (2006), advocates of constructivist grounded theory, explain in detail how it is possible to use the constructivist method to code the variables into NVivo software. In the development of the article, Bringer, Johnston and Brackenridge make selective references to Glaser (1978), Strauss and Corbin (1990), and Charmaz (2000) to try to illustrate their use of grounded theory. As stated earlier, the combination of these different methods is referred to as method slurring and tends to erode the quality of the research instead of enhancing it (Simmons, 2011). Cupchik (2001) put forward that constructivist realism “demonstrate[s] the complementary roles played by quantitative and qualitative methods in the analysis of social phenomena” (p. 10). Glaser (2012b) stated that Charmaz and other constructivists were doing qualitative data analysis (QDA) and that the use of such methodologies completely subverted all the principles of grounded theory. He argued that researchers who use a constructivist approach are doing QDA and not grounded theory, and while it may appeal to those who like the QDA conceptual description method, it is a total erosion of CGT (Glaser, 2012b). Hernandez and Andrews (2012) are more generous in their final analysis, stating that the final difference in the product is that constructivist grounded theory creates a descriptive theory, whereas CGT is an explanatory theory. Bryant (2009), seeing that the disputed differences between CGT, Straussian theory, and constructivist theory was likely to continue, took a pragmatic approach. He felt that the many issues could be put aside if the researchers remembered the core objective of research: “The epistemological issues that separate different strands, or branches of the GTM family, can then be set to one side provided that people’s research writings do not seek to make strong epistemological claims: the ultimate criterion of good research should be that it makes a difference” (p. 32). If researchers accept that both Straussian and constructivist forms of grounded theory are forms of QDA, then it is not surprising that these forms of grounded theory have closer relationships to software programs that are more structured in nature. In reviewing potential computer-assisted qualitative data analysis software (CAQDAS) tools, it became evident that either a Straussian or constructivist revision of grounded theory was being applied. Welsh (2002), who is experienced in the use of software, warns researchers to take care that their research does not get driven by the attributes of the software, creating codes that add little or no value to the analysis of the data. The purpose of this author’s research was to review boards, their structure and leadership, to determine the impact of culture on the functionality of the board. Goethals, Sorenson and Burns (2004) identified CGT as the best suited methodology for the study of leadership. They acknowledged that other versions of grounded theory exist but argued that the core elements, as initially put forward by Glaser and Strauss (1967), offered an excellent process to study the influence between people and leadership processes. The methodology is not guided by a theoretical perspective, and one of its strengths is its flexibility. Martin and Turner (1986) identified the characteristics of the CGT as an effective tool in the study of organizations. They argued that as an inductive theory, discovery methodology could lead and facilitate desirable improvements in the workplace. Deady (2011), a user of CGT, found “other methodologies tended to have gate-keeping rules to prevent use of casual or serendipitous observations” (p. 43). Deady went on to argue that the CGT method allows the literature review and researcher bias to become just another variable, without placing an unnecessary structure on the data. Unlike the QDA approach which has a fixed method of coding and memoing, the CGT process allows the researcher to be flexible in their memoing process and leads to greater theoretical completeness (Deady, 2011). Heath and Cowley (2004) have pointed out that qualitative research using grounded theory is a “cognitive process and that each individual has a different cognitive style. A person’s way of thinking, and explanation of analysis, may seem crystal clear to someone with a similar cognitive style and very confusing to another person whose approach is different” (p. 149). The selection of the methodology is always a difficult task for the researcher who must be aware of “what is the relationship between the world thought the researcher, the researched and the issue under investigation?” (Howell, 2013, p. 14). For the researcher it is important to have a full understanding of the philosophy that the research method puts forward and to select the one that best suits all aspect of the study (Howell, 2013). Each of the grounded theories discussed have merit and arguments could be put forward for each of the processes, but for this research the best approach that matches the goals of the research, as well as the cognitive style of the researcher, is the CGT approach. All researchers who consider grounded theory need to determine which type of grounded theory best suits their purpose. Loy (2011) describes his frustration in researching various versions of grounded theory, including considering the mixing of two methods, before finally reconciling to the use of CGT. His selection of the CGT over both the Straussian and constructivist grounded theories was partly influenced by his exposure to the more detailed works of Glaser and Holton, many which have been cited within this paper. As this paper demonstrates, there is a large volume of literature available on grounded theory, with many researchers offering to demystify the methodology by stating the fundamental tenets of grounded theory (constant comparative method, theoretical coding, sampling, saturation, and sensitivity) without explaining the differences that exist between methods. O’Reilly, Paper and Marx (2012), with passing comments on the history and splintering of grounded theory, offer excellent reasons for the use of grounded theory and the resulting benefits; but by cross referencing the various forms of grounded theory, they leave the novice researcher confused and no further ahead in understanding which form of grounded theory best suits their research. Much of the research published citing grounded theory does not identify which form of grounded theory is being used, and it is only by following the citations and coding methods that one can clearly distinguish the method used. Much of the “how to” type literature on grounded theory will use terms that are common to more than one type of grounded theory, and it is only by understanding the different grounded theory models that the reader can distinguish which model is being referred to. Draucker, Martsolf, Ross and Rusk (2007) presented a paper entitled “Theoretical Sampling and Category Development in Grounded Theory” which, on review, is only applicable to Straussian grounded theory and would have no place in CGT; both methods discuss theoretical sampling and category development but from very different positions. The purpose of this paper was not to discredit other forms of grounded theory, but to put forward that CGT was the best fit for the combination of the topic of board culture and the researcher (Author, 2010). The aspects of CGT that created the best fit included the concept that the theory needed to come from the data and that literature review could be viewed as another aspect of the data. The inductive philosophy put forward by Glaser (2011) had direct appeal to this researcher. Walker and Myrick, in their detailed analysis on coding and process, concluded that “maybe it is more about the researcher and less about the method” (2006, p. 558), a sentiment shared by Heath and Cowley (2004), Fendt and Sacks (2008), Bryant (2009), and Fernandez (2012). For the researcher it is not about which method is superior, it is more which one fits both the data and the researcher. What has been outlined previously within this paper is a discussion of method differences as viewed by various grounded theory scholars. As put forward by Glaser (2011) in describing the teaching of grounded theory, it is important for those using CGT to focus on two aspects of grounded theory: “1. the nature of the area of interest and 2. the extent of the researcher’s abilities and talents and temperament to handle initial conceptual confusion” (p. 47). As described earlier, the method of coding is very different for each form of grounded theory. The board culture research successfully completed by this author only considered coding from the perspective of CGT, which is based on induction and has a multi-level application of abstract codes for each line of data. A line of data may be a recorded transcript, or memos and notes taken by the interviewer, or any other form of data. Glaser defines coding as “conceptualizing data by constant comparison of incident with incident, and incident with concept” (1992, p. 38). 1. Understand yourself and how you like to do research. Can you tolerate the lack of clarity at the beginning of the research journey? 2. Take the time to explore the details of the various versions of grounded theory and be constantly aware of signs of method slurring. 3. Approach the how-to grounded theory books with a great deal of caution, many speak the terms but do not walk the talk. 5. Trust in the process but stay true to the course. (For those doing CGT, caving in and doing the literature review prior to substantial development of your theory will likely derail a potentially good theory before it has the opportunity to blossom.) The research on culture and boards lucked out in that the researcher was so focused on trying to understand the data when time was allocated to the literature review the board culture theory was taking form and the literature review only re-enforced why the theory was important for future research. 6. If a mentor can be identified, use him/her but ensure that their philosophy is in tune with both the researcher and research area. 7. Don’t give up. The eureka moment does come but most experience it when they are close to giving up. Have faith in the CGT process when used as designed it generates fantastic results. 8. Linked to the previous point stay open and remember if you selected CGT it will generate a substantive theory. 9. If using CGT be cautions of software claiming it will aid in your analysis it can act as a block and not an enabler. 10. Finally keep referring back to the ‘Fit, Understandability, Generalizability and Control’ as put forward by Glaser and Strauss 1967 it keeps you on track. With hindsight, the decision to use CGT for board culture research was the correct decision. The focus was to try and understand culture as applied to boards and to use the researchers unique accessibility to the boardroom to determine if by using CGT a new theory could be developed allowing boards to become more effective. The answer was yes. Andrews, T. (2012). What is Social Constructionism? The Grounded Theory Review, 11(1), 39-46. Baker, C., West, J. & Stern, P. (1992). Method slurring; the grounded theory/phenomenology example. Journal of Advanced Nursing, 17(11), 1355–1360. Bowen, G.A. (2005). Preparing a Qualitative Research-based Dissertation: Lessons Learned. The Qualitative Report, 10(2), 208–222. Breckenridge, J. & Jones, D. (2009). Demystifying Theoretical Sampling in Grounded Theory Research. The Grounded Theory Review, 8(2), 113–126. Breckenridge, J. & Jones, D. (2012). Choosing a Methodological Path: Reflections on the Constructivist Turn. The Grounded Theory Review, 11(1), 64–71. Bringer, J.D., Johnston, L.H. & Brackenridge, C.H. (2006). Using Computer-Assisted Qualitative Data Analysis Software to Develop a Grounded Theory Project. Field Methods, 18(3), 245–266. Bryant, A. (2003). A Constructive/ist Response to Glaser. Forum: Qualitative social Research Sozialforschung, 4(1), Art.16. Available at: http://nbn-resolving.de/urn:nbbn:de.0114-fqs0301155, [Accessed: 5 June 2012]. Bryant, A. (2009). Grounded theory and pragmatism: The curious case of Anselm Strauss. In Forum Qualitative Sozialforschung/Forum: Qualitative Social Research, 10(3), Available at: http://www.qualitative-research.net/index.php/fqs/article/viewArticle/1358, [Accessed: 7 June, 2012]. Bryant, A., & Charmaz, K. (2007). Introduction to grounded theory research: Methods and practices. In A. Bryant & K. Charmaz (Eds. ), The SAGE handbook of grounded theory (pp. 1-28). London, Thousand Oaks, New Delhi: SAGE Publications Ltd.
Charmaz K. (2000). Grounded theory: Objectivist and constructivist methods. In N. Denzin, & Y. Lincoln, (eds. ), Handbook of Qualitative Research (pp. 509-535). Thousand Oaks, CA, Sage Publications, Inc.
Christiansen, O. (2011). The Literature Review in Classic Grounded Theory Studies: A methodological note. The Grounded Theory Review, 10(3), 21–25. Clark, R. & Lang, A. (2002). Balancing Yin and Yang: Teaching and Learning Qualitative Data Analysis within an Undergraduate Quantitative Analysis Course. Teaching Sociology, 30(3), 343–360. Corbin, J. & Strauss, A. (1990). Grounded Theory Research: Procedures, Canons and Evaluative Criteria. Zeitschrift fur Soziologie, 19(6), 418–427. Cupchik, G. (2001). Constructivist Realism: An Ontology That Encompasses Positivist and Constructivist Approaches to the Social Sciences. Forum: Qualitative Social Research, 2(1), Art.7, 1-12.0 Available at: http://www.qualitative-research.net/fqs/, [Accessed: 14 August 2012]. Davis, L.E. (1996). Learning Qualitative Research: Electronic Learning Circles. Qualitative Health Research, 6(3), 453–457. Deady, R. (2011). Reading with Methodological Perspective Bias: A Journey into Classic Grounded Theory. The Grounded Theory Review, 10(1), 41–57. Draucker, C.B., Martsolf, D.S., Ross, R. & Rusk, T.B. (2007). Theoretical Sampling and Category Development in Grounded Theory. Qualitative Health Research, 17(8), 1137–1148. Efinger, J., Maldonado, N. & McArdie, G. (2004). PhD Students’ Perceptions of the Relationship between Philosophy and Research: A Qualitative Investigation. The Qualitative Report, 9(4), 732–759. Egan, M.T. (2002). Grounded Theory Research and Theory Building. Advances in Developing Human Resources, 4(3), 277–295. Ehigie, B. & Ehigie, R. (2005). Applying Qualitative Methods in Organizations: A Note for Industrial/Organizational Psychologists. The Qualitative Report, 10(3), 621–638. Elizondo-Schmelkes, N. (2011). Authenticizing the Research Process. The Grounded Theory Review, 10(2), 1–20. Evans, G. (2010). Corporate Governance Culture – An Interview-Based Ethnography of Two Boards of Directors Using Grounded Theory. Poznan University of Economics Review, 10(2), 15–32. Fendt, J. & Sachs, W. (2008). Grounded Theory Method in Management Research:Users’ Perspectives. Organizational Research Methods, 11(3), 430–455. Fernandez, C. (2012). Guest Editorial, Themed Section. The Grounded Theory Review, 11(1), 7–28. Glaser, B. (1992). Basics of Grounded Theory Analysis: Emergence v Forcing. Mill Valley, CA: Sociology Press. Glaser, B. (1993). Examples of Grounded Theory. A Reader. Mill Valley, CA: Sociology Press. Glaser, B. (1994). More Grounded Theory Methodology. A Reader. Mill Valley, CA: Sociology Press. Glaser, B. (1995). Grounded Theory 1984 to 1994. Mill Valley, CA: Sociology Press. Glaser, B. (1998a). Doing Grounded Theory. Issues and Discussions. Mill Valley, CA: Sociology Press. Glaser, B. (1998b). Gerund Grounded Theory: The Basic Social Process Dissertation. With the assistance of W. D. Kaplan (ed.) Mill Valley, CA: Sociology Press. Glaser, B. (1999). The Future of Grounded Theory. Qualitative Health Research, 9(6), 836–845. Glaser, B. (2001). The Grounded Theory Perspective: Conceptualization Contrasted with Description. Mill Valley, CA: Sociology Press. Glaser, B. (2002). Constructivist Grounded Theory? Forum Qualitative Sozialforschung/Forum: Qualitative Social Research, 3(3), Art.12. Available at: http//www.qualitative-research.net/fqs-texte/3-02/3-02glaser-e.htm, [Accessed: 18 July 2012]. Glaser, B. (2004). Remodeling Grounded Theory. Forum Qualitative Sozialforschung/Forum: Qualitative Social Research, 5(2), Art.4, 1–22. Available at: http://www.qualitative-research.net/fqs/, [Accessed: 18 July 2012]. Glaser, B. (2005). The grounded theory perspective III: Theoretical coding. Sociology Press. Glaser, B. (2009a). The Novice GT Researcher. The Grounded Theory Review, 8(2), 1–22. Glaser, B. (2009b). Jargonizing Using the Grounded Theory Vocabulary. Mill Valley, CA: Sociology Press. Glaser, B. (2011). Getting Out of the Data: Grounded Theory Conceptualization. Mill Valley, CA: Sociology Press. Glaser, B. (2012a). Stop. Write! Writing Grounded Theory. The Grounded Theory Review, 11(1), 2–11. Glaser, B. (2012b). Constructivist Grounded Theory. The Grounded Theory Review, 11(1), 28–38. Glaser, B. & Strauss, A. (1965). Discovery of Substantive Theory: A Basic Strategy Underlying Qualitative Research. The American Behavioral Scientist. 8(6), 5–12. Glaser, B. & Strauss, A. (1967). The Discovery of Grounded Theory – Strategies for Qualitative Research. London: Weidenfeld and Nicolson. Goethals, G.R., Sorenson, G.J. & Burns J.M. (2004). Encyclopedia of Leadership Grounded Theory. SAGE Knowledge, pp.608–612. Goulding, C. (1999). Grounded Theory: Some Reflections on Paradigm, Procedures and Misconceptions. Working Paper. Series No. WP006/99, University of Wolverhampton, UK. Goulding, C. (2005). Grounded Theory, Ethnography and phenomenology. European Journal of Marketing, 39(3), 294–308. Gynnild, A. (2011). Book Review: Grounded Theory: A practical guide (Birks & Mills, 2011). The Grounded Theory Review, 10(3), 63–66. Hall, W.A. & Callery P. (2001). Enhancing the Rigor of Grounded Theory: Incorporating Reflexivity and Relationality. Qualitative Health Research, 11(2), 257–272. Hallberg, L.R.M. (2006). The “core category” of grounded theory: Making constant comparisons. International Journal of Qualitative Studies on Health and Well-being, 1, 141–148. Heath, H. (2006). Exploring the influences and use of the literature during a grounded theory study. Journal of Research in Nursing, 11(6), 519–528. Heath, H. & Cowley, S. (2004). Developing a grounded theory approach: a comparison of Glaser and Strauss. International Journal of Nursing Studies, 41, 141–150. Hernandez, C.A. (2009) Theoretical Coding in Grounded Theory Methodology. The Grounded Theory Review, 8(3), 51-66. Hernandez, C.A. & Andrews, T. (2012). Commentary on “Constructing New Theory for Identifying Students with Emotional Disturbance”. The Grounded Theory Review, 11(2), 59–63. Hickey, G. (1997). The use of literature in grounded theory. Nursing Times Research, 2(3), 371–378. Holton, J.A. (2007). The Coding Process and Its Challenges. In Bryant, A. and Charmaz, K. (eds.) The SAGE Handbook of Grounded Theory. Thousand Oaks, CA: Sage, pp.265–389. Howell, K. (2013). An Introduction to the Philosophy of Methodology, London, SAGE. Katz, J. (1983). A Theory of Qualitative Methodology: The Social System of Analytical Fieldwork. In Emerson, R. (ed.) Contemporary Field Research: A Collection of Readings. Boston, MA: Little Brown, pp.127–148. Loy, J. T.-C. (2011). Dynasting Theory: Lessons in Learning Grounded Theory. The Grounded Theory Review, 10(2), 45-60. Martin, M.B. (2011). A Commentary on Ekins (2011). The Grounded Theory Review, 10(3), 57–59. Martin, P.Y. & Turner, B.A. (1986). Grounded Theory and Organizational Research. The Journal of Applied Behavioral Science, 22(2), 141–157. Mintzberg, H. (1979). An Emerging Strategy of Direct Research. Administrative Science Quarterly, 24, 582–589. Montgomery, P. & Bailey, P.H. (2007). Field Notes and Theoretical Memos in Grounded Theory. Western Journal of Nursing Research, 29(1), 65–79. Neill, S.J. (2006). Grounded theory sampling: The contribution of reflexivity. Journal of Research in Nursing, 11(3), 253–260. O’Reilly, K., Paper, D. & Marx, S. (2012). Demystifying Grounded Theory for Business Research. Organizational Research Methods, 15(2), 247–262. Partington, D. (2002). Grounded theory. In Partington, D. (ed.) Essential Skills for Management Research. London: SAGE Publications, pp.136–157. Patton, M. (1990). Qualitative Evaluation and Research Methods. CA: Sage. Patton, M. (2002). Qualitative evaluation and research methods. 3rd ed. Newbury Park, CA: Sage. Plummer, M. & Young, L.E. (2010). Grounded Theory and Feminist Inquiry: Revitalizing Links to the Past. Western Journal of Nursing Research, 32(3), 305–321. Rennie, D.L. (1998). Grounded Theory Methodology: The Pressing Need for a Coherent Logic of Justification. Theory & Psychology, 8(1), 101–119. Riley, R. (1996). Revealing Socially Constructed Knowledge through Quasi-Structured Interviews and Grounded Theory Analysis. Journal of Travel and Tourism Marketing, 15(2), 21–40. Schreiber, R.S. (2001). The “How To” of Grounded Theory, Avoiding the Pitfalls. In Schreiber, R.S. and Stern, P.N. (eds.) Using Grounded Theory in Nursing. New York: Springer, 55–84. Scott, H. (2009). Data Analysis: Getting Conceptual. The Grounded Theory Review, 8(2), 89-112. Simmons, O.E. (2011). Book Review: Essentials of Accessible Grounded Theory (Stern & Porr, 2011). The Grounded Theory Review, 10(3), 67–85. Skodol-Wilson, H. and Ambler-Hutchinson, S. (1996). Methodological Mistakes in Grounded Theory. Nursing Research, 45(2), 122–124. Stern, P.N. (1994). Eroding Grounded Theory. In Morse, J.M. (ed.) Critical Issues in Qualitative Research Methods. Thousand Oaks, CA: Sage. Stern, P. N., and Porr. C. (2011). Essentials of accessible grounded theory. Left Coast Press. Strauss, A. & Corbin, J. (1990). Basics of Qualitative Research: Grounded Theory Procedures and Techniques. London: Sage. Strauss, A. and Corbin, J. (1998) Basics of Qualitative Research – Techniques and Procedures for Developing Grounded Theory. (2nd ed). CA: Sage. Tolhurst, E. (2012). Grounded Theory Method: Sociology’s Quest for Exclusive Items of Inquiry. Forum: Qualitative Social Research Sozialforschung, 13(3), Art. 26. 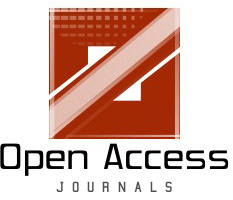 Available at: http://www.qualitative-research.net/, [Accessed: 12 September 2012]. Walker, D. & Myrick, F. (2006). Grounded Theory: an Exploration of Process and Procedure. Qualitative Health Research, 16(4), 547–589. Wells, K. (1995). The Strategy of Grounded Theory: Possibilities and Problems. Social Work Research, 19(1), 22–27. Welsh, E. (2002). Dealing with Data: Using NVivo in the Qualitative Data Analysis Process. Forum: Qualitative Social Research Sozialforschung, 3(2), Art.26 Available at: http://www.qualitative-research.net/fqs/, [Accessed: 12 October 2011]. Wuest, J. (1995). Feminist Grounded Theory: An exploration of the Congruency and Tensions Between Two Traditions in Knowledge Discovery. Qualitative Health Research, 5(1), 125–137.